Theatre is an age old reflection of our cultures, our politics, our intimate dramas played out on a stage so that others can see and identify themselves and recognize that they are not alone. It’s why equity and balance is vital in the stories that are told. Children and adults, men and women need to see themselves and their lives reflected on the stage and in the voices of the characters who tell the stories. 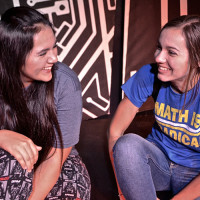 Coachella Valley Repertory Theatre is always held in high esteem for their efforts to reflect diversity and unique perspectives on the stage. 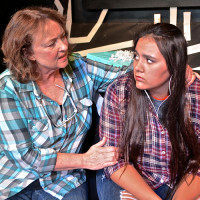 Linda Daugherty’s play, “The Secret Life of Girls” now in production at the CV Rep Theatre, is a part of the theatre’s youth outreach program and presents the critical problem of cyber-bullying. 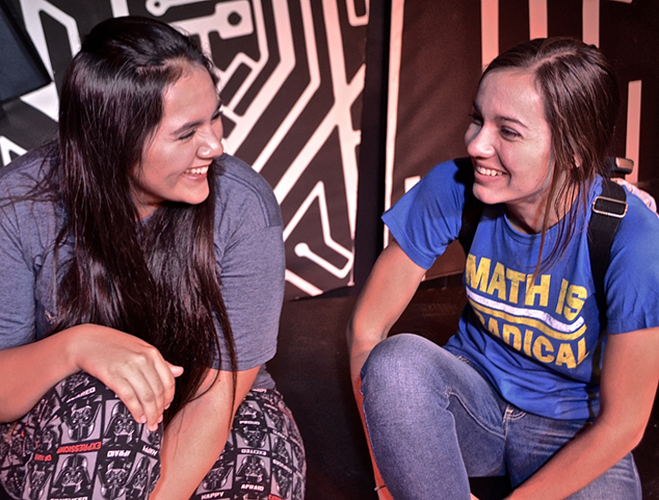 It is so rare to catch of glimpse of the inner lives and thoughts of teen girls and Daugherty’s play does a phenomenal job of taking us into the world of high school where we are witness to the taunts, bullying and demeaning behaviors that teen girls can sometimes inflict and endure. 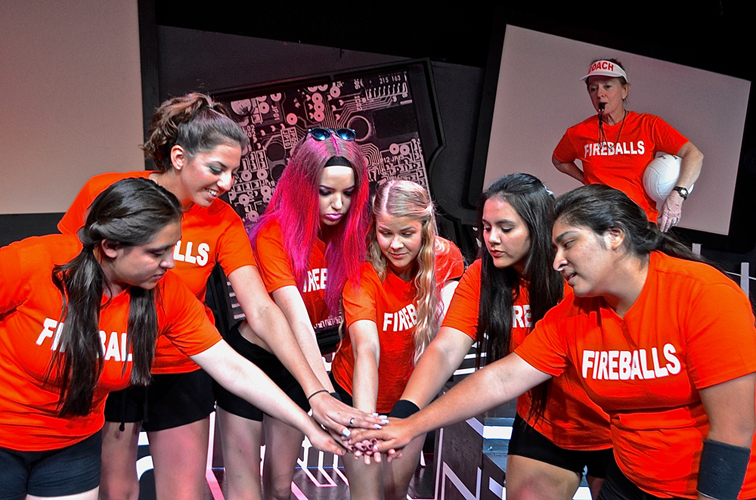 Abby, beautifully performed by the very talented young Cecilla Orosco, is trying to gain acceptance and make her mark by joining the champion Volleyball team at school. Her circle of friends are each struggling with their own secrets and emotional burdens as they take the audience on a roller coaster ride through the private lives of these seven girls. Stephanie, (Priscilla Richards) is complex and harbors her own self-destructive secret as she attempts to give the impression that she is the one in control. 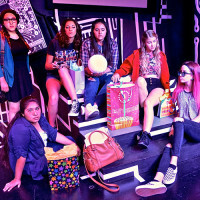 Rebecca, (Sephora Navarro), Kayla, (Savanna Holt,) Sutton (Kelly Servelle,) Anna Marie, (Galilea Navarro,) and Chandler (Katie Nolan,) are all unique and brilliant in their portrayal of a group of girls just trying to find themselves in the chaotic world of high school. Jane Fessier, (Abby’s mom) and Louise Ross (Sutton’s mom and the coach) are cast in nameless roles rather than identified characters, but they perfectly represent the adults who influence and direct these girls’ lives. Both actresses are obviously seasoned and bring a sense of balance to the play. Director Nicole Dominquez, does an amazing job with her creative use of screens to project the ongoing electronic communications of texts and computers brings the audience inside the private communications that can destroy young lives. The direction is spot on as the scenes shift easily and quickly showcasing the transitions of an entire school year in a matter of minutes. Jimmy Cuomo’s set is fantastic and provides the perfect atmosphere for the high tech world of a contemporary teen. Jane Fessier’s costumes and Lynda Shaep’s hair and makeup all lend credibility to an overall impressive production. 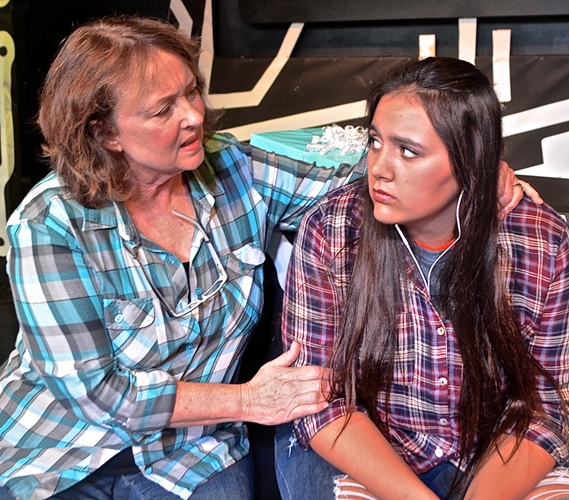 This play is currently being performed for adult and youth audiences across the Coachella Valley. At the end of each performance a Q&A is conducted and the audience may ask questions about what they experienced and discuss the issues that were presented. A well-written play informs and inspires. “The Secret Life of Girls,” is such a play. 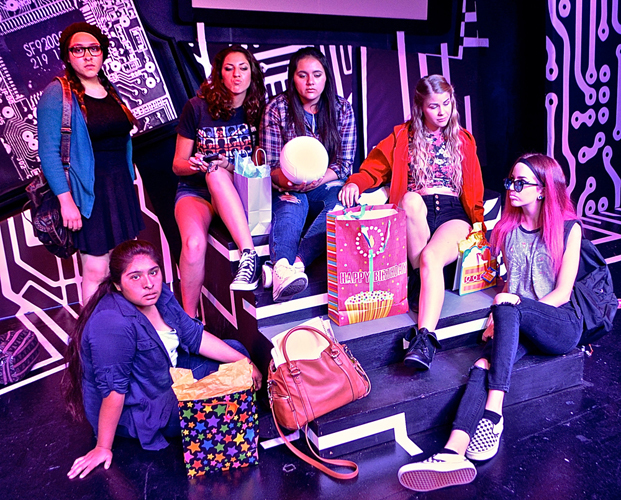 “The Secret Life of Girls,” is in production at the Coachella Valley Repertory Theatre located at 69930 Highway 111, Suite 116, Rancho Mirage, CA 92270 through September 22, 2015 through October 2nd. Dee Jae Cox, is a playwright, director and producer. She is the Cofounder and Artistic Director for The Los Angeles Women’s Theatre Project and the host of KPTR 1450’s hit radio show, “California Woman 411” in Palm Springs.